Follow along with thirteen-year-old Kusiima in the third book of J.A. Myhre's The Rwendigo Tales. Just thirteen years old, Kusiima has no time for school, sports, or hanging out with the other boys in his African village. With no father or mother to take care of him, he works long hours to support his grandmother and sickly baby sister. Then one day, Kusiima's life suddenly changes when he travels into a nearby protected forest. In the forest, Kusiima is presented with many choices, all with uncertain outcomes. Should he go along with illegal logging? Help to save an endangered baby gorilla? Follow a donkey to who knows where? 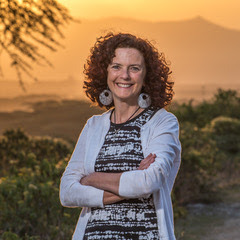 Readers of all ages won't want to put down this exciting book that addresses current realities, like AIDS, malnutrition, and environmental destruction, all set in a richly detailed African adventure story. Following along as Kusiima makes his decisions, readers will find themselves considering their own choices and growing in empathy for others. This action-packed tale of a boy, his sister, and an orphaned gorilla is also a clear call to give up bitterness and forgive deep hurts, restoring broken lives and relationships. 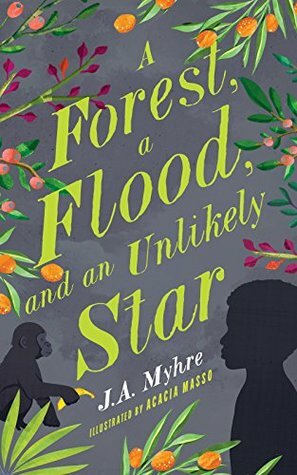 Readers in search of adventure need look no further than A Forest, a Flood, and an Unlikely Star. Set in an African village, where a young teenaged boy faces choices that could change his life, J.A. Myhre’s story transports its readers into the adventure, drama, and suspense within its pages. It’s a quick and delightful read with a great exotic feel, perfect for children and adults alike. It’s definitely a story worth reading. Thanks to Litfuse Publicity Group, I received a complimentary copy of A Forest, a Flood, and an Unlikely Star and the opportunity to provide an honest review. I was not required to write a positive review, and all the opinions I have expressed are my own.